Kyle Taylor first came to Presque Isle in 1997 while visiting family on Grand Lake. He instantly fell in love with the place. He would return frequently over the years, enjoying his summers amongst the beutiful evergreen forests and pristine lakes and shorelines. Years later, Kyle and his wife Katie decided to relocate to Presque Isle to be closer to their families, and to start a family of their own. While living in Phoenix AZ, Kyle attended Mesa Community College where he achieved his Associates Degree in Digital Imaging and Graphic Design. These skills would prove useful when in 2013, Kyle joined Lakeshore Realty and began overseeing the company's photography, web design, and advertising. 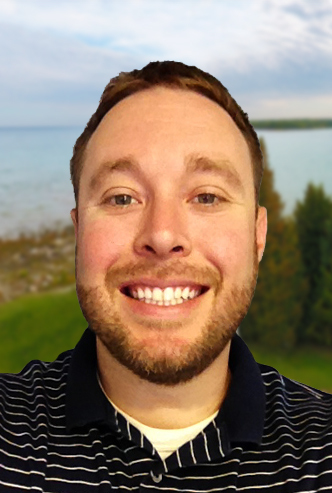 In 2015 Kyle recieved his Real Estate Salespersons license and has began working as a sales agent for Lakeshore Realty. In 2017 Kyle recieved his commercial pilots license for small unmanned aircraft systems, and has begun taking aerial photographs for Lakeshore's Clientele. In 2019 Kyle received his Real Estate Broker's license and is now in overseeing all real estate transactions for Lakeshore Realty. He prides himself on his technical savvy, creative negotiating skills, and determination to go the extra mile in order to get the job done. He is committed to providing quality information and advice as he guides his clients through each transaction. Contact Kyle if you are looking for a friendly, knowledgeable agent who takes the time to understand and acheive your real estate goals.